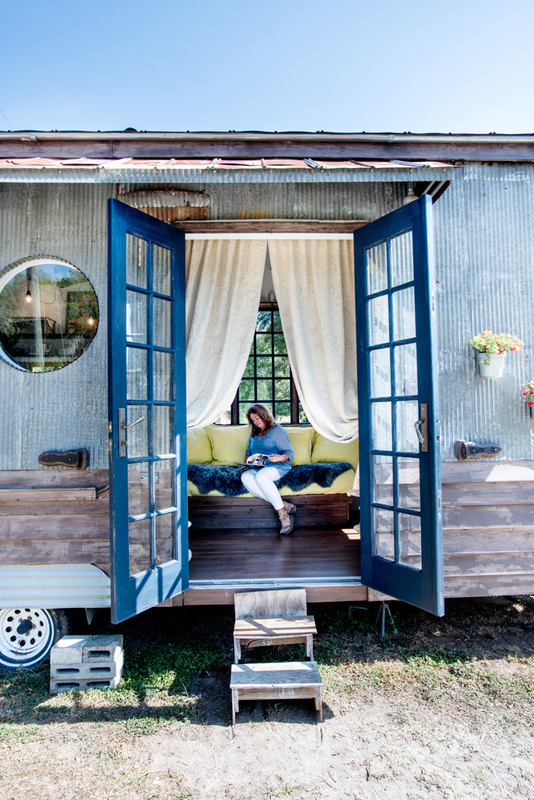 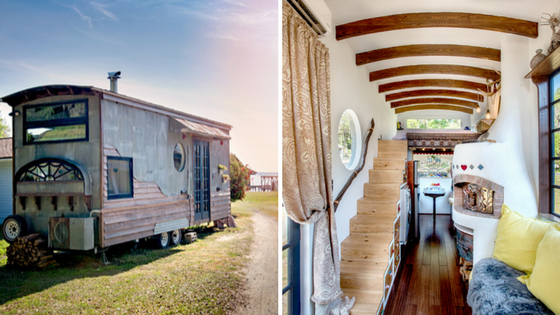 Downsizing doesn't have to mean sacrificing comfort and style, and that's exaclty how the owners of this tiny house went about it when creating their own home. 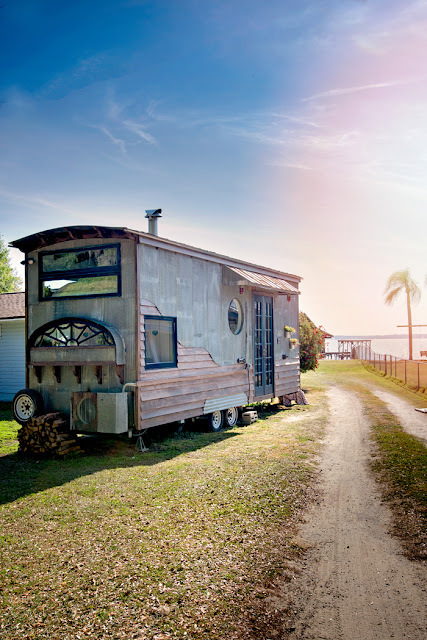 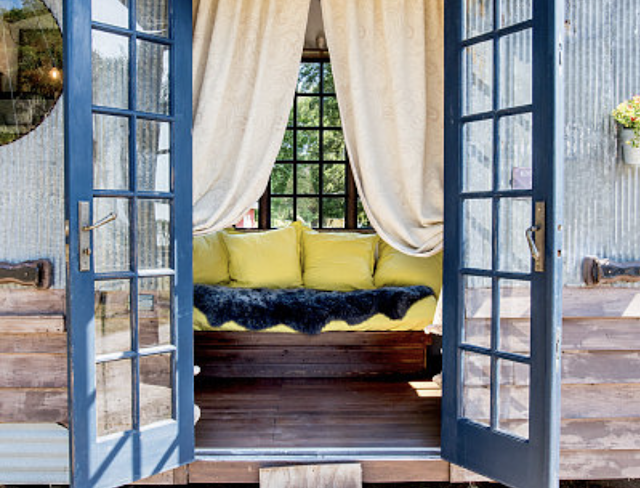 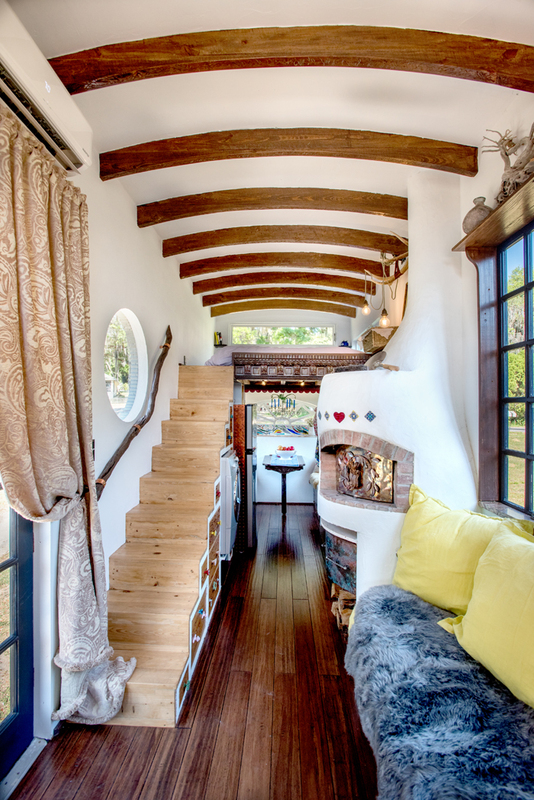 Dubbed the "Gypsy Mermaid" the home is a DIY creation, put together almost entirley by its owners, who have a background in interior design and construction respectivley. 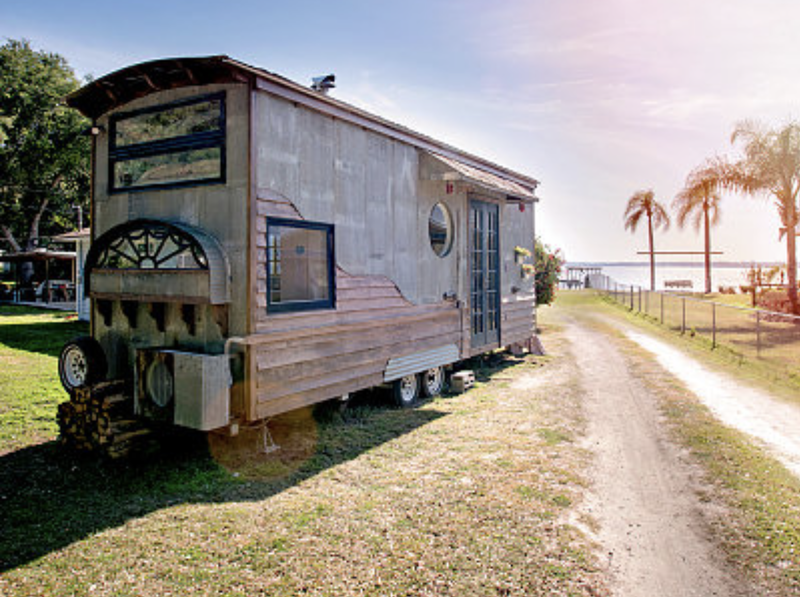 Construction of the home began in October of 2015 using salvaged materials, and corrugated metal and cypress for the exterior. The house measures 26' x 8.5' x 13'3" and cost a approximetly $15,000! 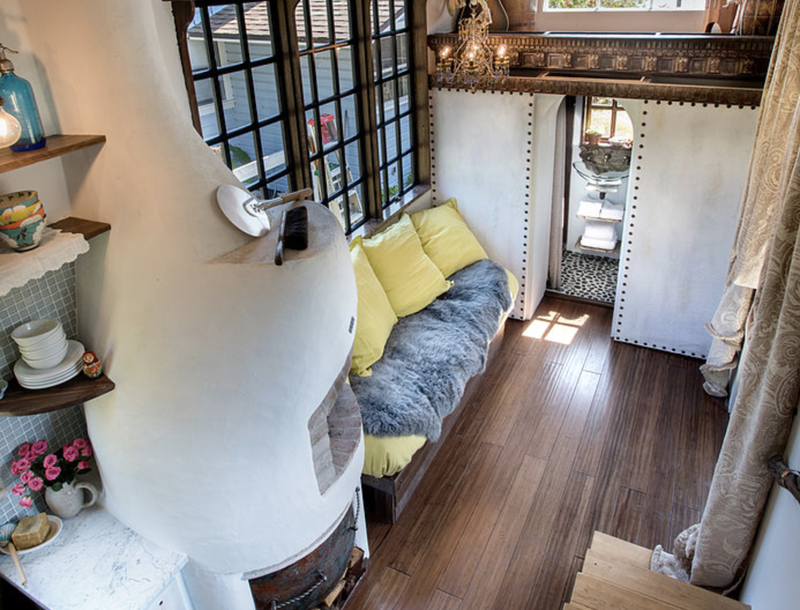 The interior features a look the owners described to Ocala Style as "eclectic European style with splashes of Bohemian elements". There's a kitchen with a customized wood-burning oven, a living room, bathroom, and a queen-sized loft. 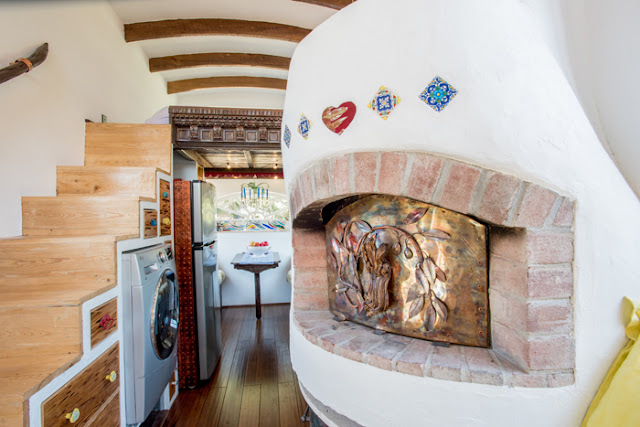 The home also comes equipped with a generator, a split unit A/C, and a washer/dryer combination unit!